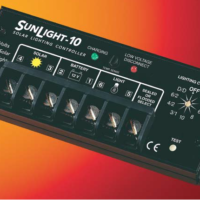 Morningstar SunLight SL-20L-12V Charge Controller/Load Control with Lighting Control / 20A 12V / Free Shipping. 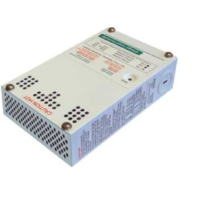 Morningstar TriStar TS-MPPT-60-600V HV charge controller with DC Disconnect option | 60A 48V | Free Shipping. 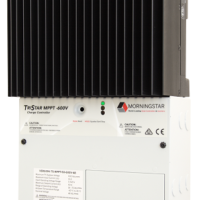 Morningstar TriStar TS-MPPT-60-600V HV charge controller | 60A 48V | for use with 48V battery bank | Free Shipping. 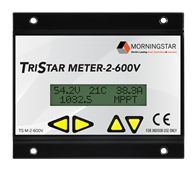 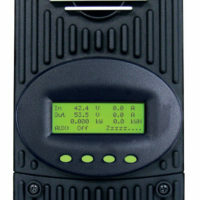 Morningstar TriStar TS-M-2 Optional Digital Meter for 600VDC charge controller | Free Shipping. 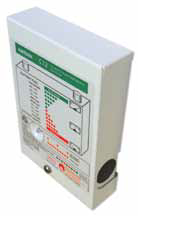 Schneider Electric RNWC35 PWM C35 Charge Controller or Load Control 35A 12-24V / Free shipping. 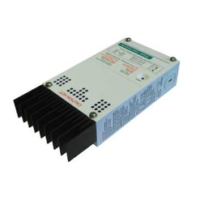 Morningstar SunKeeper SK-12 Charge Controller / 12A 12V / Free Shipping. 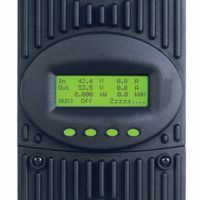 Morningstar SunKeeper SK-6 Charge Controller / 6A 12V / Free Shipping.